Eyers presents two visually pared down animations in the gallery. 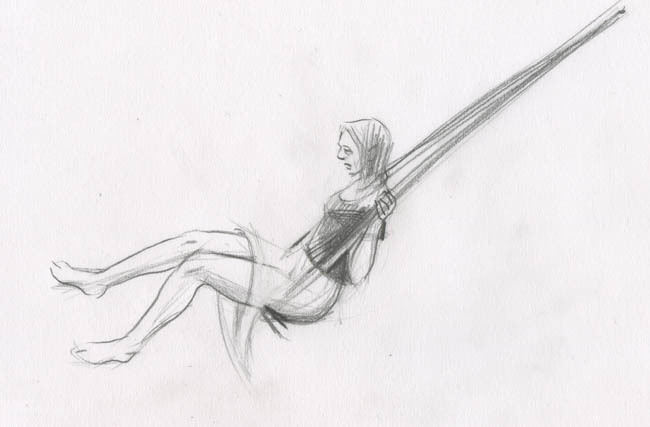 Swing shows a girl swinging, her simplicity quite different to Fragonard's famously frilly The Swing. Political positions have become more polarized again and Eyers hopes to reflect this by evoking 'different moods in the to-ing and fro-ing: one open and dynamic; and the other retreating and withdrawn.' 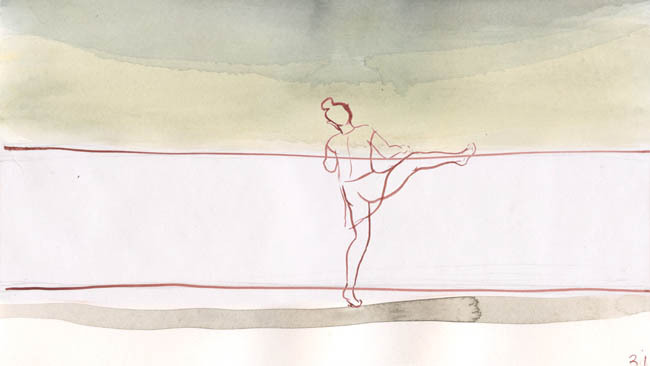 Her second animation, Wall, is shown at a more intimate scale, and depicts a woman climbing over a wall again and again, assisted by a second woman, forever locked in the process of escape.